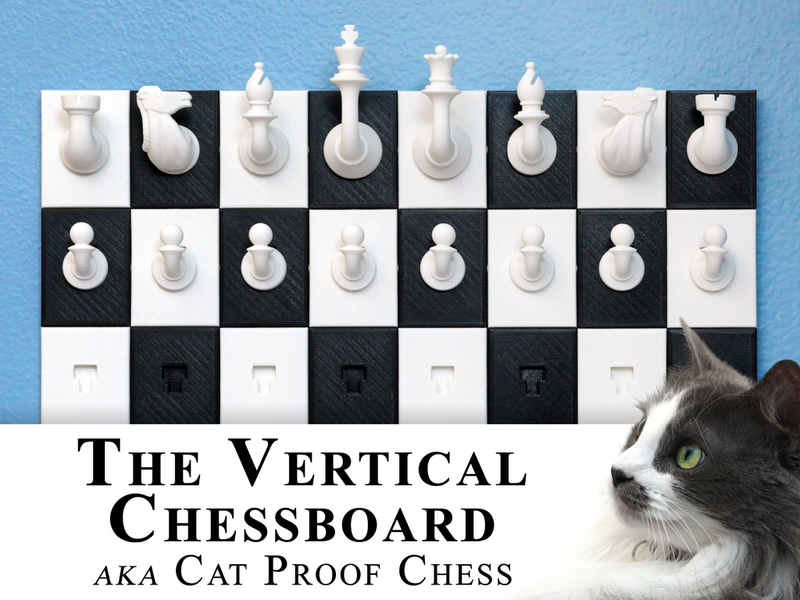 3D Printed Vertical Chessboard [Cat Proof] « Adafruit Industries – Makers, hackers, artists, designers and engineers! Like most cats, my kitties look like adorable piles of fluff content on living a quiet life of napping and purring. In reality, however, they are little balls of evil and hate intent on destruction. Their favorite pastime is to look me in the eye while knocking down something that will produce a nice shatter or anything of value, but unattended chess pieces will do in a pinch. 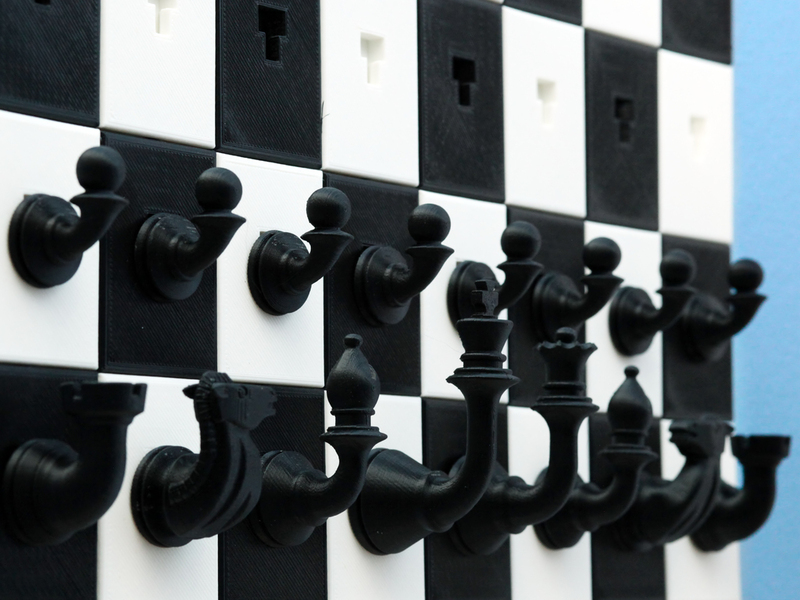 That’s why I made the Vertical Chessboard. It can easily be mounted on a wall, up and out of reach of their evil little paws.